Municipal Household Waste | Trienekens (Sarawak) Sdn. Bhd. 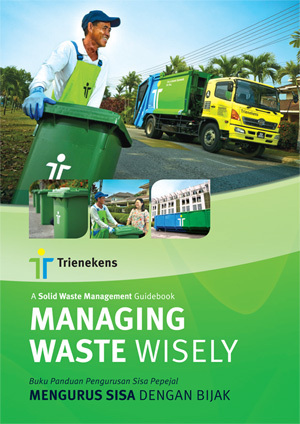 Trienekens covers the service scope of municipal waste services for a majority of the population in Sarawak’s capital city, Kuching. These services focus on high levels of efficiency with emphasis on maintaining fast and clean operations using modern and standardised collection equipment and waste receptacles. Domestic dwellings within the jurisdiction of Kuching North City Hall (DBKU), Kuching South City Council (MBKS), Padawan Municipal Council (MPP) and certain areas under the Serian District Council (MDS) are provided with 120-litre mobile garbage bins which are emptied twice a week. Additional waste of reasonable volume which are properly packed in closed garbage bags and placed beside the bin will also be collected. Usage of wheel bins under these council jurisdictions is compulsory.